A Star is Born is like an old song being covered by new performers. It’s enjoyable to observe different interpretations and nuances being fleshed out, to hear how the piece is re-imagined. But the strictures of the original composition remain, a familiarity that can be both nostalgic and inhibiting. Jackson Maine (Bradley Cooper) is an aging, scruffy singer-songwriter whose cling to celebrity is fueled by booze and pills. After a concert, Jack stumbles into a drag bar where Ally (Lady Gaga) is performing a rendition of “La Vie En Rose.” Jack is instantly smitten, and after an all-night charm offensive, Ally becomes smitten, too. There’s genuine chemistry between the two, with the credit going to the actors and Cooper as the film’s director (more on that later). Jack sweeps Ally off her feet and then onto stage, where she becomes a sudden sensation. 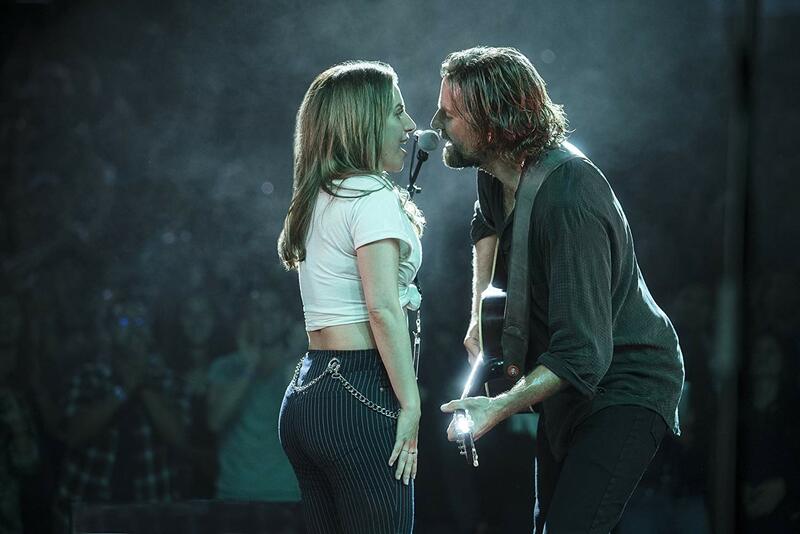 The rest of A Star is Born comprises Ally’s shooting star crossing paths with Jack’s fading fame. Save for one raw scene of exasperation and jealousy, Jack and Ally remain hopelessly devoted to each other even as their coupling is ultimately doomed by age and circumstance, a concession to audience wanting a love story that drains dramatic tension from the storyline. But Cooper the director takes his time, a pace that often grinds the film to a crawl but is nonetheless necessary to allow the characters to develop organically. That’s especially the case with Jack’s complicated relationship with his much older brother Bobby, who is played by Sam Elliott in a performance that deserves all the awards nominations. Indeed, the entire cast is well-served by Cooper’s lens, handheld camerawork that glides and swoops around the actors, capturing the intimate contours of their visages. It becomes a window into the characters’ soul, more revealing than anything in the stodgy story. The fourth movie iteration of this rags-to-riches parable looks to plumb dramatic depths barely scratched in the previous three editions. By casting its leads as singers, the film instantly skews closer to the 1976 Kris Kristofferson and Barbra Streisand melodrama. But this latest version is more focused on the struggle, nay obsession to both gain notoriety and avoid losing it. It feels like a film à clef at times, including the casting of Andrew Dice Clay (as Ally’s father) and Dave Chappelle (as Jack’s former musician buddy)—Clay’s character believes he could have been as big as Sinatra, while Chappelle’s character is content that he left the fast life behind. As Ally, Lady Gaga is a singer long denied a big break because her nose is too big. Then, once stardom strikes, the talented songwriter finds herself morphed and molded into a sequined pop star. Even here, Ally also never relinquishes her grounding despite Jack’s repeated worries that she’ll lose her way, another concession to Ally’s piety that feels like a concession to the aura of the actress playing her. A Star is Born only truly comes to life when Gaga and Cooper are on stage. And it’s fun to watch the actors pull the curtain back on themselves and the entertainment industry. But the feeling of “been there, done that” is inescapable.